Single tickets and Compose-Your-Own Subscription Packages are now available for the WSO 2018/2019 Season. People are talking… and they’re talking about all the great performances scheduled for the Windsor Symphony Orchestra’s 2018/2019 Season! Last year, the WSO saw record-setting sold out performances in all mainstage performances. This season is likely to surpass last season record due to the fantastic programing by WSO Music Director Robert Franz. Performances at the Capitol Theatre include: West Side Story In Concert, Witches and Wizards: the Music of Harry Potter, Holiday Pops (the Polar Express and the 12 Days of Canadian Christmas), Gershwin Meets Steinway, and Fiddlin’ Around (Featuring Broadway fiddler Caitlin Warbelow and music from Come From Away) on the Toldo Pops Series. The Tepperman Masterworks Series (of which 4 of 5 performances sold out last season) performances include: Grieg Piano Concert featuring pianist Spencer Myer, Mozart’s Double Piano Concerto featuring UWindsor professors Dr. Greg Butler and Dr. Christine Vanderkooy, French Connections, Mozart’s Requiem, and Scheherazade featuring Iranian-Canadian duo Kamancello. The WSO is returning to Leamington and the University of Windsor’s Heritage Auditorium for the Classics in the County and the Morris and Beverly Baker Foundation Intimate Classics Series. These series feature performances including: Simple Symphonies, 1918 Remembered, the Italian Baroque, and Farewell Symphony. New to the WSO season is the ONSTAGE @ The Capitol Theatre Series which features cocktails and cabaret seating ONSTAGE WITH THE ORCHESTRA. Say goodbye to the days of sitting in the audience! This intimate, immersive, and exclusive series gives audiences the opportunity to Live The Orchestra Experience. ONSTAGE features performances including: Strings & Spirits, Caesars Rule (which includes a create-your-own custom Caesar station), and Haydn the Hooch (a nod to Windsor’s bootlegging, Prohibition past). The WSO will continue to perform special concerts including: Handel’s Messiah in Leamington and Tecumseh, multiple Windsor Symphony Youth Orchestra performances under the leadership of the WSO’s new Assistant Conductor Daniel Wiley, and the ever-popular Viewpointe Rocks! concerts that features the music of Bowie & Prince. Tickets will sell out fast! Patron’s can ensure they have tickets to these amazing shows by purchasing early. Tickets can be purchased online at www.windsorsymphony.com , in person at 121 University Ave W., or over the phone at (519) 973-1238. People are talking… are they’re all talking about getting their Windsor Symphony Orchestra 2018/2019 Season tickets! The wait is over! View the full lineup of the WSO’s 2018-2019 season on our website at www.windsorsymphony.com. New Subscriptions Available June 1st. Single Tickets Available August 1st. The Beat Goes On! 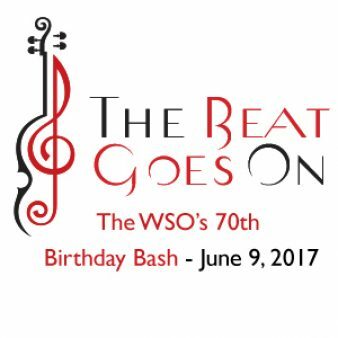 is the Windsor Symphony Orchestra’s birthday bash theme and promise. For over 70 years, dedicated musicians and volunteers have brought extraordinary music to the Windsor, Essex, Chatham, Kent, Michigan regions. What better venue than the historic Capitol Theatre Windsor, scene of so many concerts, and now the home stage of the WSO? Join us – and past musicians, conductors, and friends for a once-in-a-decade celebration, June 9 at 6:30 pm. Caitlin and Jonathan, who both live in downtown Windsor, decided, like many couples, that the Capitol Theatre would be a romantic setting for their wedding. Not only are they supporting this historic building by bringing friends and family here to enjoy the space, but they are supporting many downtown businesses for most of their wedding needs. As described in this article by Joe McParland in BizX magazine (June, 2017, p. 40), the Downtown Windsor BIA are also thrilled by this initiative, many other businesses are chipping in wedding gifts for the couple! Check out our Wedding Rentals page for more ideas for your celebration. Each event can be custom tailored for your unique vision of your special day. 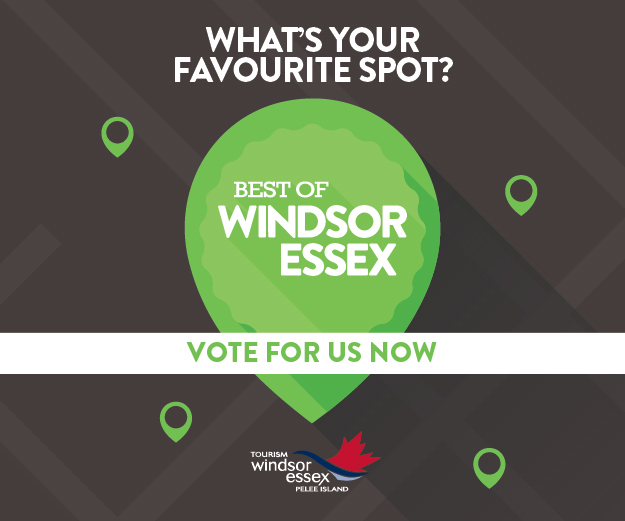 The Capitol Theatre Windsor and manager Windsor Symphony Orchestra are thrilled to be nominated again for the Tourism Windsor Essex Pelee Island (TWEPI) Best of … awards 2017. Enter for a draw, and vote for all your favourite places in the county here. Last year, Capitol Theatre Windsor was thrilled to win the Best Theatre category. This nomination proves how versatile is this heritage building for the whole community.